As the medicinal plant industry blooms into a billion dollar business, it reaches beyond collection, propagation, harvesting and sale of crude vegetal drugs into product formulation, packaging and dispensing of sophisticated phyto-pharmaceuticals and herbal preparations. The scientific study of these medicines and the systematic uplifting of the industry to preserve the ancient and serve the modern, is now a global challenge. The Medicinal Plant Industry puts together the various facets of this multi-disciplinary industry and its global interest. It discusses the dire need for developing countries to acquire technologies and techniques for programmed cultivation of medicinal plants. 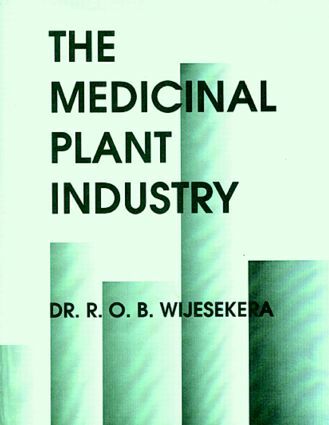 It addresses a wide variety of topics including the old philosophies, modern impact of traditional medicines, and methods of assessing the spontaneous flora for industrial utilization. It covers aspects of cultivation and climatic variations, biological assessment and formulation, process technologies, phytochemical research and information sources. The book reviews highly developed traditional medicine in China and India, and covers experiences in Africa and other continents.